DENVER, CO — January 16, 2019 — Energy Real Estate Solutions (ERES), a full-service real estate firm providing brokerage, development, property management, construction management, and consulting services to North and South American energy markets, announced today it has opened its first international office location in Neuquén, Argentina. 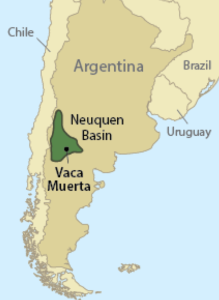 The firm expanded globally in order to provide boots-on-the-ground support to meet the increasing demand of clients operating in Argentina’s Vaca Muerta shale play. Over the past 12 months the Vaca Muerta shale has attracted over $165 billion in commitments from some of the largest players in the industry as they place large bets on the future success of the play, Argentina’s version of the Permian Basin. This significant growth has provided increased demand for development and support services across all facets of real estate in and around the burgeoning shale play. 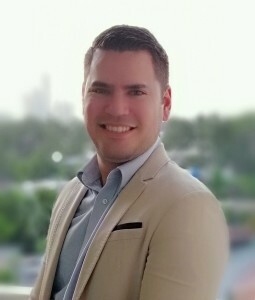 To lead the new office ERES has brought on Jose Barreto as Project/Facilities Manager. In this role he will be responsible for the oversite of all client projects, ensuring on-time and on-budget deliveries. Barreto joins the firm with six years of international project management and facilities operation experience, most recently serving as Project Manager for an over $8MM development project in Panama. This marks ERES’ third office opening in the past two years, with the firm expanding to Houston, TX in October 2018 and Midland, TX in 2017. ERES has three additional offices geared toward other emerging and developed energy markets located in Denver, CO (HQ), Fort Worth, TX and Williston, ND. Visit www.energyreco.com/about-us to learn more. Energy Real Estate Solutions (ERES), a full-service commercial real estate firm focused on helping energy companies and investors maximize their real estate portfolios, provides brokerage, project management, property and asset management, development, workforce housing, and consulting services in and around the world’s most active energy sites. The firm currently operates out of six offices located in Denver, CO (Headquarters), Williston, ND, Fort Worth, TX, Houston, TX, Midland, TX and Neuquén, Argentina. For more information, visit www.energyreco.com.